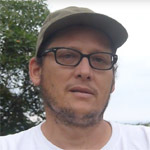 Gregory Landua has studied marine and terrestrial ecology and evolutionary biology in the Galapagos Islands, translated for Amazonian rainforest guides, fought wildfires in the wilderness of Alaska, lived in established ecovillages, founded a successful work-live cooperative, studied the nuances of ecology and ethics, and founded a direct-trade chocolate business to help reforest tropical Latin America through regenerative trading relationships. Gregory has B.S. in Environmental Science and Ethics from Oregon State University, and M.S. in Regenerative Entrepreneurship and Design from Gaia University. Gregory’s current work focuses on regenerative supply chain development for tropical ingredients. His work with large companies to create sourcing structures and partnership opportunities with highly functioning permaculture projects bridges deep understanding of ecological agriculture, business and political dynamics to create functioning relationships. Together with Ethan Roland, Gregory is the author of the ground breaking book Regenerative Enterprise. Growing out of practical experience creating business models that regenerate ecological systems, create sustainable livelihoods and build community resilience, Regenerative Enterprise has become a core part of the work that Gregory and the Terra Genesis International team are engaged with in the world. As a teacher, Gregory emphasizes social and economic facets of permaculture design. 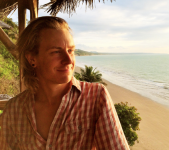 Gregory embraces the practical aspects of regenerative ecological design by being a tropical permaculture farm owner, member of local and multi-local intentional communities and seasoned permaculture designer. 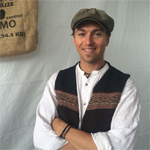 Luke is an ecological designer and educator with a deep commitment to landscape regeneration, ecological agriculture, food sovereignty and regenerative enterprise development. He holds a B.Sc in Biology from the University of Sussex and a M.Sc in Conservation Biology from University College London. Luke has spent the past six years working in South America on a variety of natural resource management and agroecological projects including: rainforest ecology & agroforestry research; conservation project management; community-based ecosocial entrepreneurship; Permaculture education; and, regenerative supply-­chain development for tropical crops. In addition to his work with Terra Genesis International he is Director of Regenerative Design at Alianza Arkana, co-founder of Endless Mountains Permaculture & a Gaia University associate. Ethan Roland Soloviev designs supply chains that regenerate the earth. He is the CFO of Terra Genesis International, the core developer of Eight Forms of Capital framework and co-author of Regenerative Enterprise. 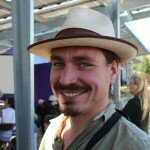 He is an international thought leader in permaculture, entrepreneurship, and regenerative investing. George Fletcher is a Biologist/Permaculturist/Organic farmer committed to the conservation of tropical ecosystems. He has been living for the last 14 years in a small community on the northern coast of ECUADOR. As soon as he was out of university he started working in the amazon on biodiversity surveys and as a jungle guide, during all these years he was a witness of the relentless destruction of the rainforests he loved. From his position back then he felt he could hardly do anything significant to contribute to changing this situation. He later worked on projects with NGOs and got disappointed at the fact that they are always on the move following the money to stay afloat, never committing long term to a cause or place. That`s when he decided to commit to a place for life in order to become an important actor of change. He started looking for his new home and found it on a field trip with friends, he moved to Caimito in 2002 with his family. He started from scratch living in a small hut in the forest with no electricity and an hour walk from the nearest town. Slowly he became a “jack of all trades” building wooden houses, farming, fishing and becoming a local community leader. He became a permaculturist after getting in touch with the “seedsavers network of Ecuador”, where he is now part of the council of the wise. George became a cacao farmer after figuring out that small farmers hold the key to the future of tropical forests. His dream is his that his homeplace becomes an example of sustainable ecosystem management centered on regenerative agriculture and cacao food forests. Although he has committed for life to a specific place on earth he is also willing to travel the world`s tropics to learn and share his experiences.